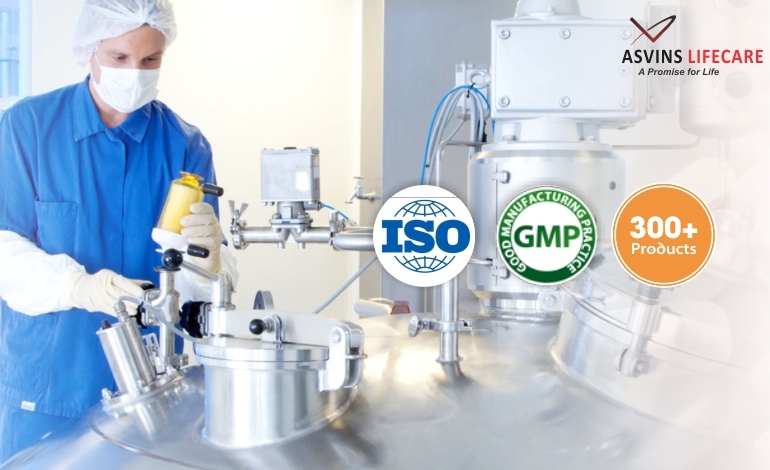 Our Company was incorporated in the year 2015 and started as the leading PCD Pharma Franchise, manufacturer and supplier in the pharmaceutical industry. The Company is involved in development and marketing of the diverse range of high-quality range of drugs. We support a synchronized supply chain which reflects our capabilities to develop international quality standard medicines. All the production take place in the state-of-art manufacuring unit and using our own API’s which has contributed well to the success of the company. Asvins lifecare has the significant market share in the industry and holds the good position among its peers. Our transparent and strong relationships with pharmacy chains, insurance funds, and other distributor networks help us deliver on our promise to customers and this is what makes us best from the rest. Our prices are competitive and thus, we can reach to the large section of patients. Asvins lifecare is one of best PCD Pharma Franchise Companies in India. Our offerings deliver quality at cost-effective prices in the highly regulated markets of India. We rank among the best pharma companies, with product families being marketed globally. Through our product range, we are targeting different therapeutic segments for treatment of patients. The company invites pharma professional from all across the country to join us on our business venture. Get our PCD Pharma Franchise for the vacant location in your region and set up your own business successfully. Join hand with us and excel in your work in the pharmaceutical sector we make sure to deliver the best services along with all kind of facilities and benefits. S.C.F-289, First Floor & Basement, Motor Market, Manimajra, (Chandigarh)-160101,(India).